Without a doubt, soups are a communal meal. It became very clear to me on my first night at Ballymaloe Cookery School. It was the eve of the twelve weeks course and many of us had traveled far and wide to be at this oasis in the Irish countryside. It was a cold rainy January and diving into a bowl of Cream of Mushroom Soup while huddled up in one of the cottages on campus was a welcome treat. I mentioned it in my very first blog Karen in County Cork. Just re-reading that post makes me crave that soup as well as the company I had sitting around enjoying every spoonful. In keeping with the communal spirit I am going to share with you several soup recipes that I think are phenomenal. All of them are from foodie bloggers that I admire. During this week of Soup Scentral, it would be wonderful if even one recipe catches your eye and makes you hit the pots and pans. Soups have a way to not only nourishing our bodies, but filling our souls with comfort too! 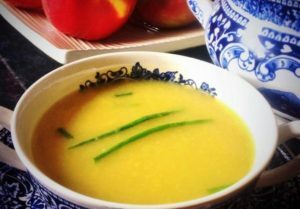 Kenmare Foodie: Celery, Apple and a little bit of Cashel Blue Soup My love for Karen Coakley of Kenmare Foodie has been heralded from the rooftops. 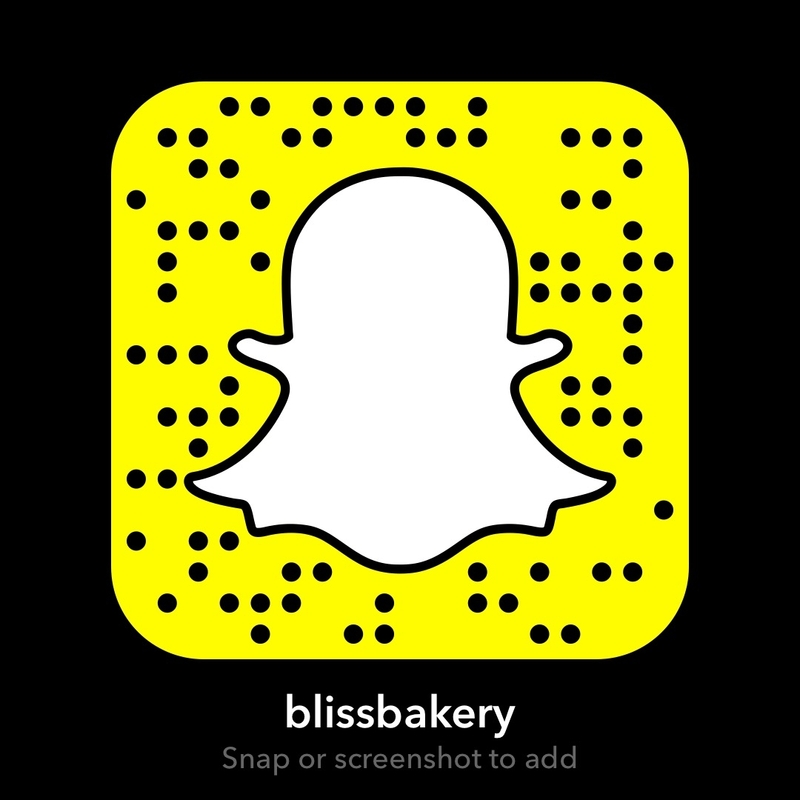 She was one of my Sunday Spotlight Snap Sistas. However on the day I didn’t get a chance to share one of her recipes. She has loads of fab soup recipes, which makes sense as she is an admitted soup addict. But this one caught my eye and I can hardly wait to give it a go myself. Her photo alone makes me drool! 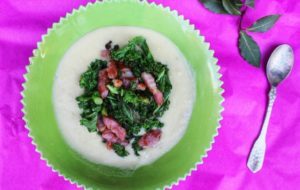 Eat Like a Girl: Potato and Leek Soup with Bacon and Kale Niamh Shields of Eat Like a Girl is living the dream. She cooks, writes, travels, writes, eats, writes, repeat. And you wouldn’t meet a nicer person. Not that I have met her in person, but with all her social media channels and her fab blog, you get a pretty good idea. And one thing is for sure, her Irishness shines through in this soup recipe. A classic with a twist however. I love me some Emerald Isle potato and leek soup, but hers is topped with bacon and kale. This is on my must make list. I hope when you click over to her page you too pin the recipe! Donal Skehan: Thyme and Gruyere French Onion Soup I had the pleasure of being introduced to Irish chef Donal Skehan by my former Ballymaloe Cookery School teacher (and Woman Crush Wednesday) Rachel Allen. Donal is on fire right now, which is perfect for a chef who can cook the pants off anyone. 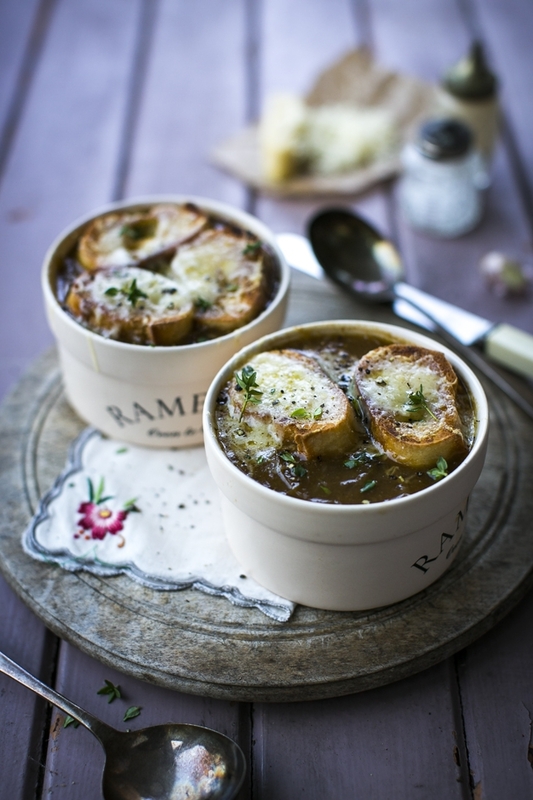 And this recipe for a classic French onion soup sounds like after one bite you’ll be transported to a bistro along the River Seine. Oh, and can I point out that Donal is a master food photographer! You could practically eat the screen you’re reading this on when looking at the food styling of this soup! 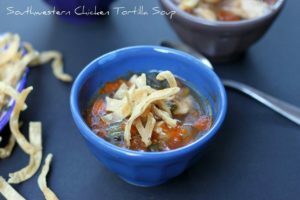 KokoLikes: Southwestern Chicken Tortilla Soup Koko Bahler is a popular blogger who also happens to be my daughter in law. So of course I am going to be partial towards anything she does. But she loves to cook. And she is also lucky to have grown up in a house with a mom who is a Le Cordon Bleu trained chef! Since she is a Los Angeles girl she is an expert on Mexican food and this recipe for Chicken Tortilla Soup looks amazing. I really miss the Southwestern flavors living in this part of the world. So I will defo make a point to whip up a batch of this delicious soup! So there you have it folks, four fab foodie bloggers making a communal contribution to my Soup Scentral week. I hope you check them out and add these new soup recipes to your arsenal, I know I will! Remember, even if you don’t believe in the New Year, New You sentiment going around this month, you can think of it as a New Year, New Soup!